Impact Crusher is Yifan machinery in absorbing domestic and foreign advanced technology, combined with the sand industry specific mining conditions and the latest generation of counter - developed crusher. It adopts the latest manufacturing technology, unique structure design, processing products were cube, no tension and fracture, grain shape is quite good, all can break the feed size of not more than 500mm, the compressive strength of more than 350MPa thick, fine materials ( granite, limestone, cement and so on), widely used in all kinds of ores crushing, railway, highway, energy, cement, chemical, construction and other industries. The row partical size can be adjusted, crushing specification diversification. (see Figure Impact Crusher 1 ) crusher working principle diagram for a typical counter. Broken material crusher, material is suspended by the plate hammer impact. If the particle size is smaller, the impact force is approximated by a particle of gravity, material along the tangent direction (see Figure Impact Crusher 1 ) by dotted lines ) throw. 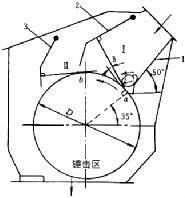 If the particle size is larger, the material out of the rotation is generated, thrown in the direction V angle and tangent direction, in order to make the material block, deep plate hammer ring reduced rotation, to the lower part of the slide to bend downward (see Figure Impact Crusher 1 ). Double rotor impact crusher has two rotor mounted in parallel, separate from the motor with two rotors to rotate in the opposite direction of movement ( also in-phase rotation ) material is broken. 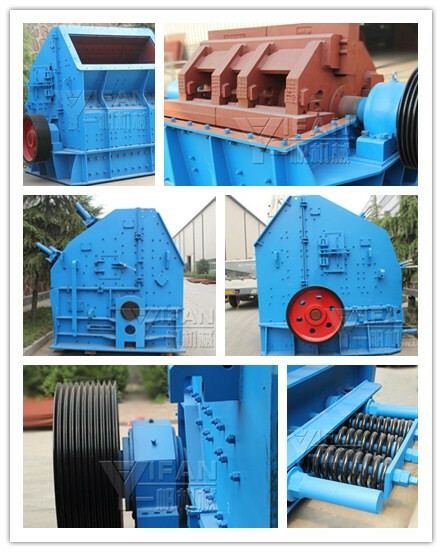 The process of material crusher impact crusher ( see Figure Impact Crusher 2 ). Impact Crusher is a broken machine which use of impact energy to crushing material. 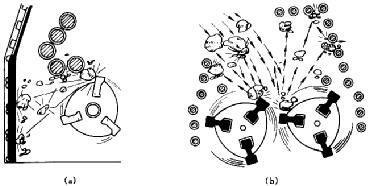 When the machine works, under the driving of the motor, the rotor high-speed rotation, the material into the plate hammer function area, and the impact of the rotor plate hammer crusher, and then be thrown to counterattack device broken again, then from the back lining board to board hammer region to break, this process is repeated, material from large to small in one or two, three, back cavity repeated broken, until the materials are crushed to the required size, discharged from the discharge port. Adjust the back frame and the clearance between rotor can be achieved by changing the material discharging size and shape of the material for the purpose of. 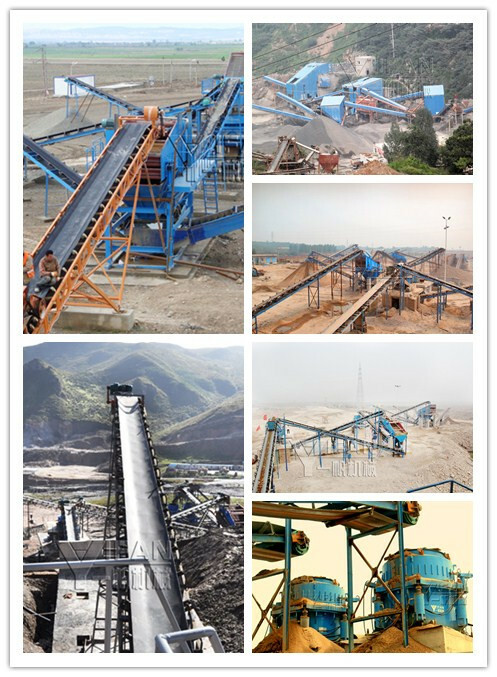 The article by impact crusher,protable crusher YIFAN Machinery Editor: http://www.yifancrusher.com, please indicate the source , little effort , thank you . PREV:What are the advantages of efficient hydraulic cone crusher?